Faced with the massive arrival of new generation of operators, the oil and chemical industry needs to train them in safe conditions on highly automated processes. 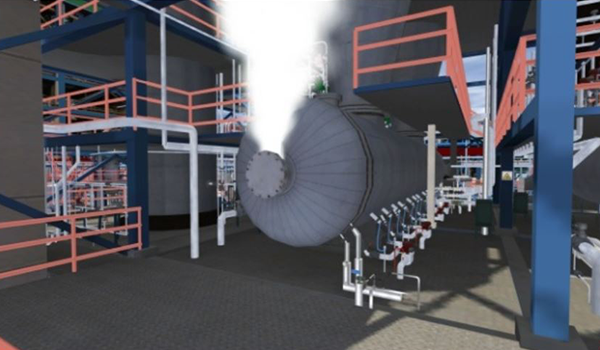 This industry has at least six reasons to focus on dynamic simulation. With their high degree of automation and their sophisticated control and safety systems, oil and chemical industrial units are becoming more and more expensive. To make them profitable, it is necessary to implement best driving practices while respecting stricter environmental protection measures: the level of requirements is constantly increasing. This increased sophistication of factories aims in particular at reducing accidents. But as noted in a study published in August 2017 by the ARC Advisory Group, the cost of these accidents has increased significantly. This is another reason to improve operator training. The same study of ARC Advisory Group specifies that «the continuous flow of new inexperienced millennium generation operators represents a production risk and can lead to costly accidents. The use of training simulators is considered the fastest and most efficient way to train operators» No comment. Dynamic simulation has long been used in other high-critical industries, such as nuclear and aeronautics. In particular, it is used to train and certify nuclear power plant operators and airline pilots. Thanks to current computer tools, it is possible to develop high-fidelity dynamic simulators. They represent the process and all associated control and safety systems by means of a physical model. If the process industries - oil and chemicals in particular - are lagging, it is more for cultural reasons because technology is ready. Oil and chemical units are more and more automated but their major shutdowns are becoming increasingly rare, they can be spaced several years apart. As a result, staff have very few opportunities to practice start-up and shutdown procedures, with their critical transitory phases. On the other hand, with an Operator Training Simulator (OTS), operators can practise these sensitive actions safely and as often as necessary. This increases their confidence in their ability to operate the plant. - Start and stop the unit safely and efficiently. - Identify and correct disruptions and malfunctions of equipment. - Understand and follow safety rules and procedures. - Use the distributed control system and emergency shutdown system effectively. - Recognize and interpret the interactions between the different sections of the process. It is also possible to couple the process simulator and the 3D topographic model of a unit. The result is a complete digital representation, as well as a training system that allows external operators and the ones in the control room to interact as if they were in real life. Likewise, emergency plans and fire-fighting can be studied. Both models, process and 3D, communicate: for example, opening a manual valve on the 3D model triggers the calculation of the new flow rate. Therefore, the simulator makes it possible to capitalize on the experience of operations, create scenarios based on past experience (incidents, equipment or instrument failures, load changes and more) and test procedures for future operational cases. "It makes me more confident and comfortable in my daily work» (71%). - High production performance (62%).